Why You Need to Try This Shaved Gelato at Compass One Today! Fan of the popular Taiwanese Shaved Ice? Still reminiscing the taste of Flor Gelato Italiano you tasted in Rome? 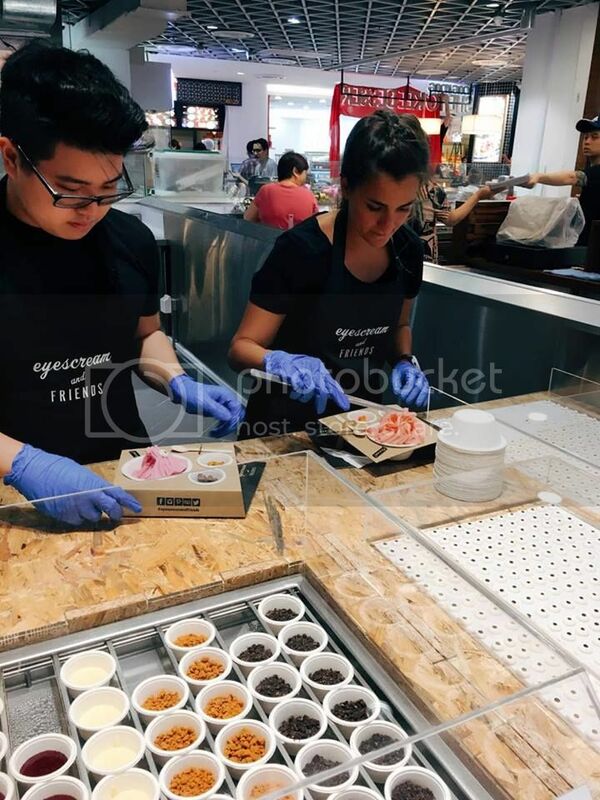 Or simply can’t get enough of the Instagrammy Bonca macaron ice-cream from Bangkok? 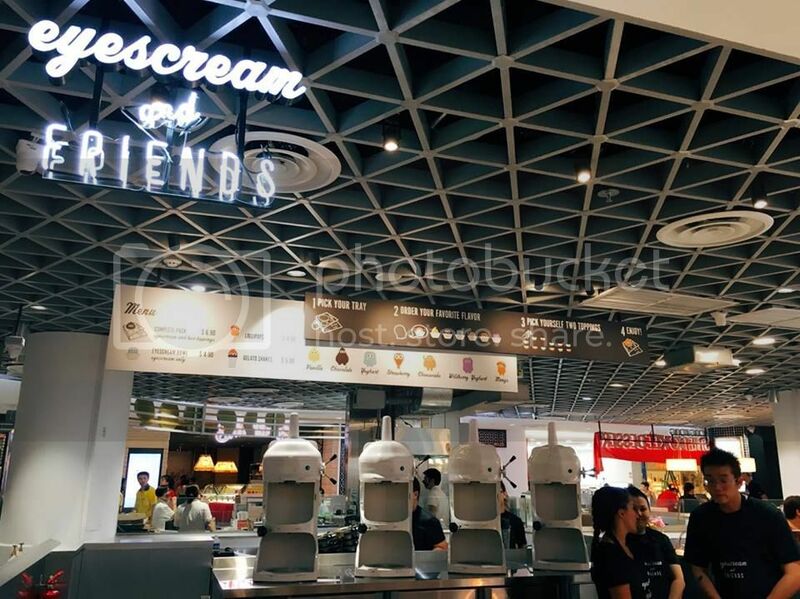 Now, you can get all of that from eyscream & friends at the newly opened Compass One. Headquartered in city of dreams, Barcelona, “eyescream & friends” is definitely the most quirky ice cream shop we've ever come across. To our fortune, this fun experience is now available on our shores, and here’s every reason you need to visit it. 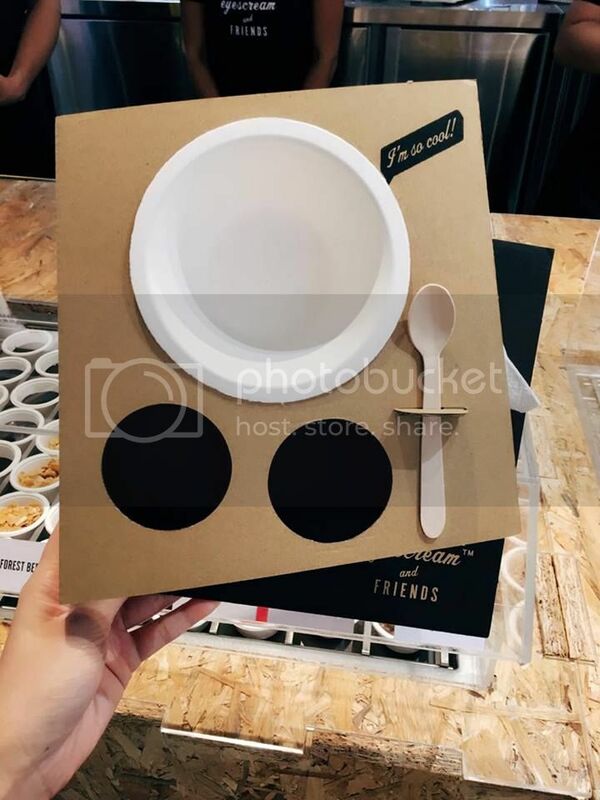 For all the trendsetters, or for those of you who simply want to awe your friends with your new find, you will be glad to learn that the shop located at B1-42 of Compass One is in fact the first shop in Asia. Moreover, it’s the 2nd worldwide after its first opening in Cairo, Egypt. We are no stranger to both gelato and shaved ice, but what exactly is shaved gelato? In fact, it is ice-cream blocks that are frozen to -25◦C and then trimmed with a specific "Asian ice-cream shaving " style in order to obtain the smooth thin layers known as shaved gelato. We love how intense and pronounced the flavours are, and the denseness each mouthful of the shaved gelato provides. Not to mention, the shaved gelato offers a very smooth and creamy texture, somehow it’s like a river of smooth flavours floating through your mouth, and we like how there’s no gritty sensation at all. Over at eyescream & friends, you get the joy of serving yourself in some simple steps. First pick your own tray. 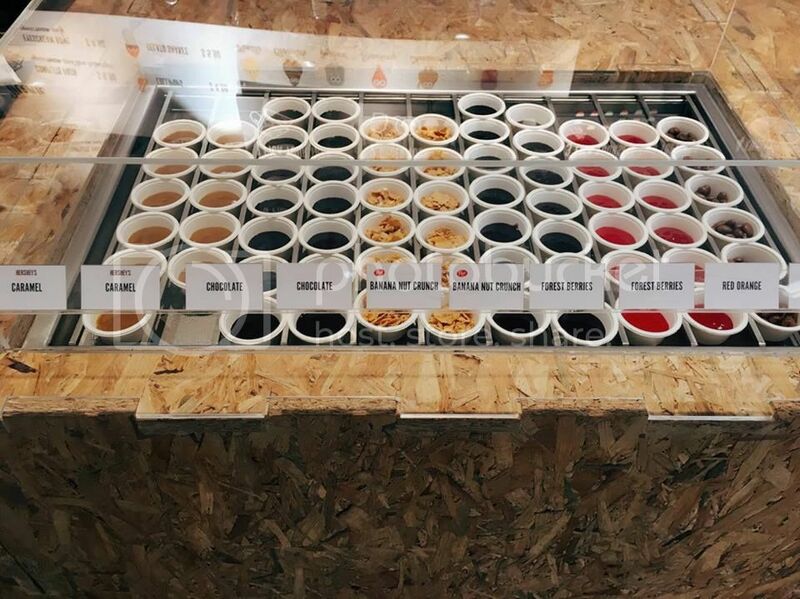 Second, pick 2 toppings from the huge array of gummy bears, sauces, chocolate chips, cookies, marshmallow, berries, nut crunch and more. 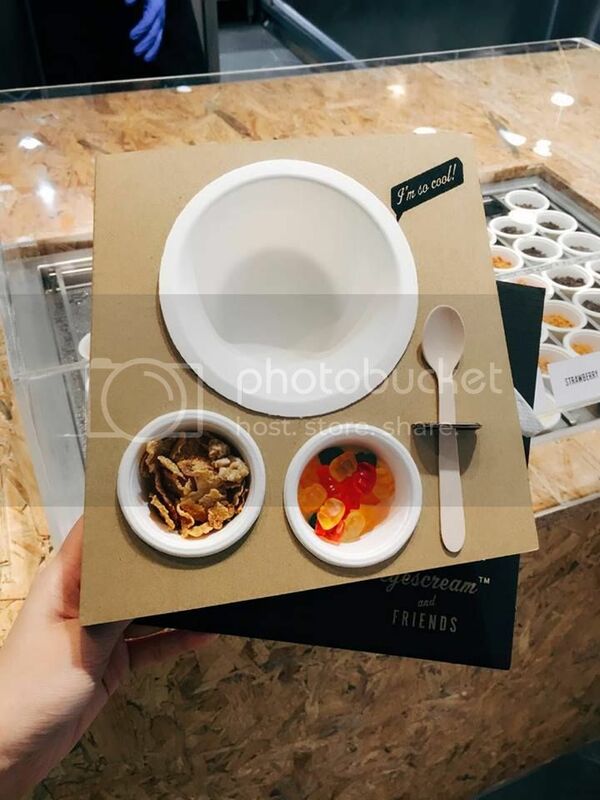 Third, pick 1 flavour from either vanilla, chocolate, cheesecake, yoghurt, wild berry yoghurt, mango or strawberry and pass your tray to the staffs. 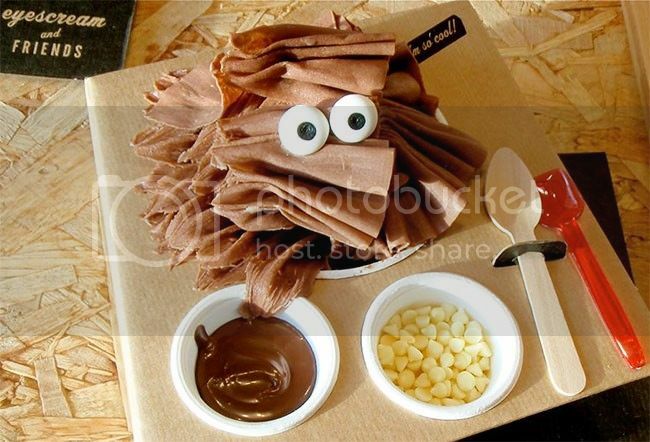 Lastly, the staffs will decorate your gelato with 2 monster eyes, and you are all ready to enjoy it. You can either go for the complete set at $6.90 each or just the gelato itself at $ 4.90. 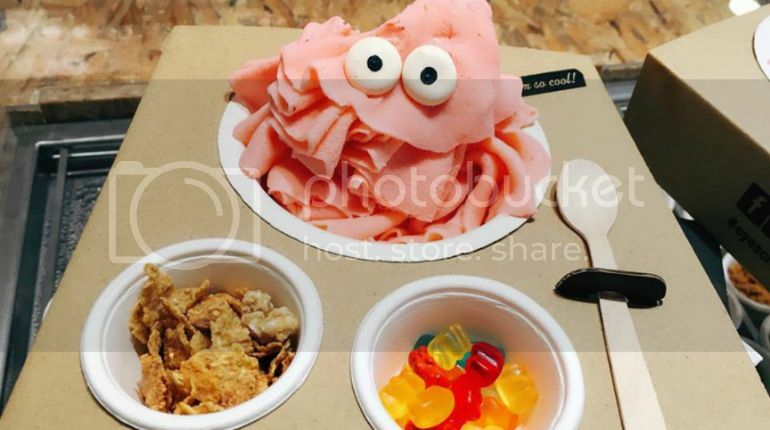 All the vibrant colours, and adorable “monster” eyes just make the gelato so instagrammy, don’t you agree? 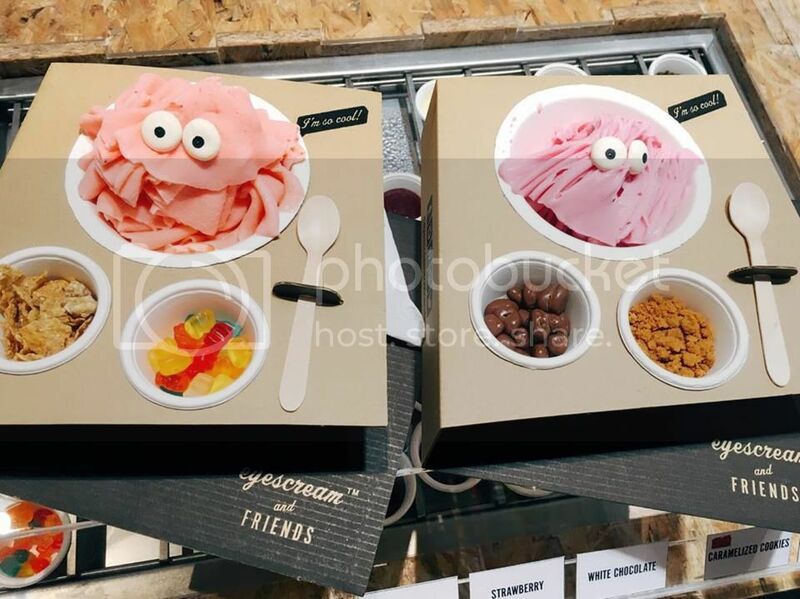 With the trays provided at eyes cream & friends, now you can carry your gelato around the streets while eating, without worrying about dirtying yourself (sticky fingers). Moreover, the toppings are separated from the gelato, so you could keep the beautifully designed shaved gelato intact until you decide to mix your masterpiece. You will be interested to know that each flavour carries its own character and backstory. And we learn that Sad Tom (yoghurt flavour), is sad as everyone picks on him for being healthy and self-conscious. 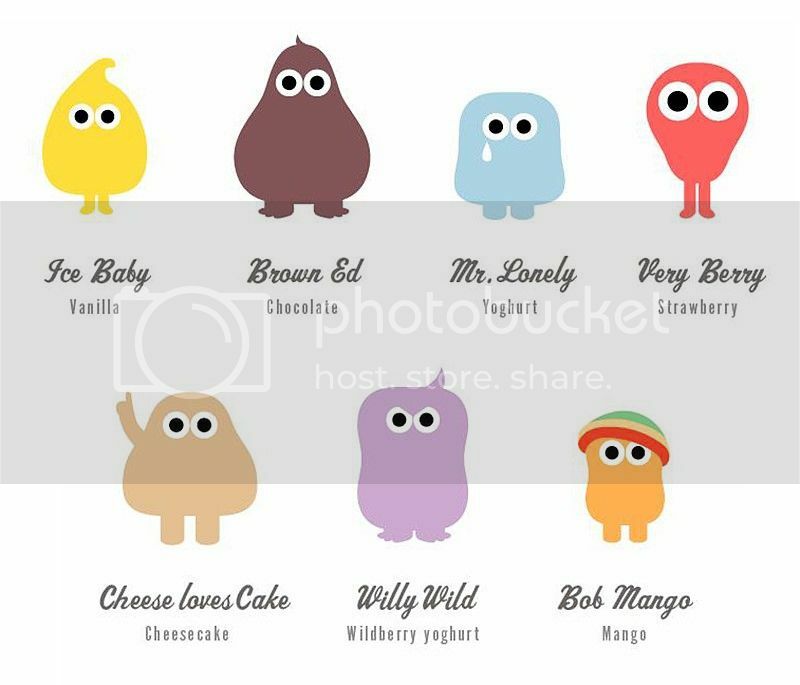 While Wild Willy (wild berry) is angry at the others for bullying Tom, hence his super angry eyes. 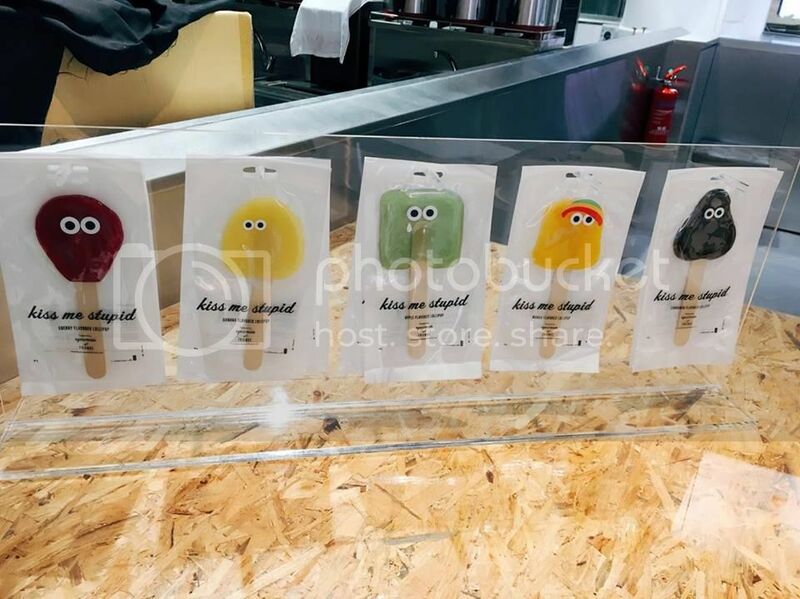 Aside from shaved gelato, the shop does offer “Kiss Me Stupid” lollipops that are vegan and gluten free. They are available in cherry, banana, apple, mango and cinnamon flavours at $4.90 each. 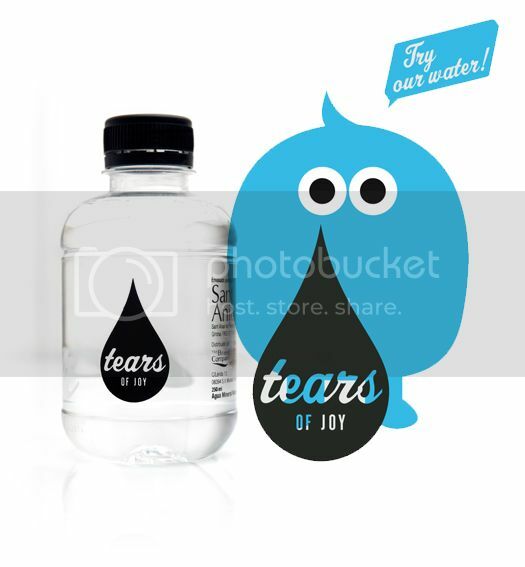 You can also quench your thirst with gelato shakes ($5.90) or get yourself a minimalistic-designed Tears of Joy water bottles.